Montmartre is one of my favorite neighborhoods in Paris. I love the quaint little side streets, the cafes and restaurants, and venturing up the hill past the artists’ square and all of the beautiful shops to the to the backside of Sacre Coeur Cathedral … all the while listening to the classic French music playing in the streets … you know, the melodies we’re all so familiar with from the movies. 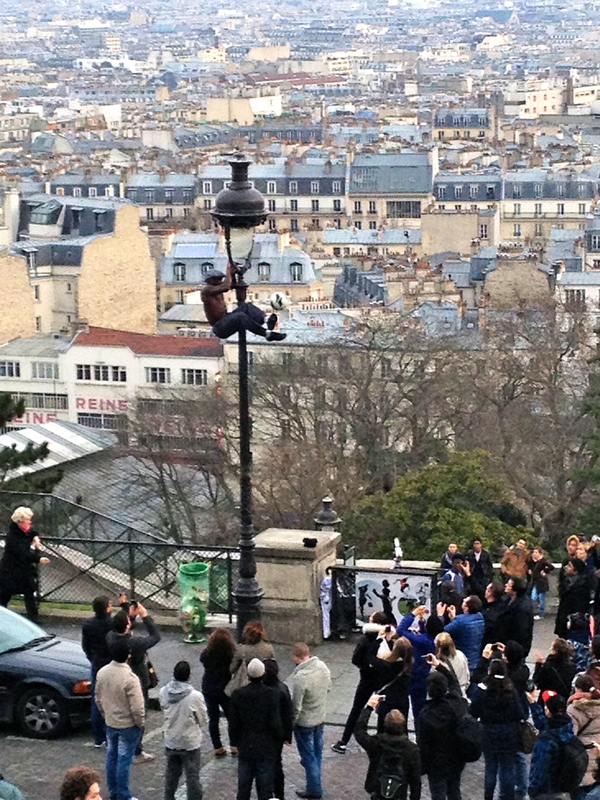 On the front side of Sacre Coeur, by the steps that remind me of the Spanish steps in Rome I saw this incredibly talented man performing for crowds of people hovering in awe, snapping photos and videos. I actually saw him on two different occasions and he was unbelievable… he would start off on the ground with some cool footfall (soccer) footwork as he warmed up, and then would climb the lamp post while doing more footwork and tricks, hanging by one arm at times, and spinning a football on the tip of pen. I wish I still had the video to share, but unfortunately it’s long gone. 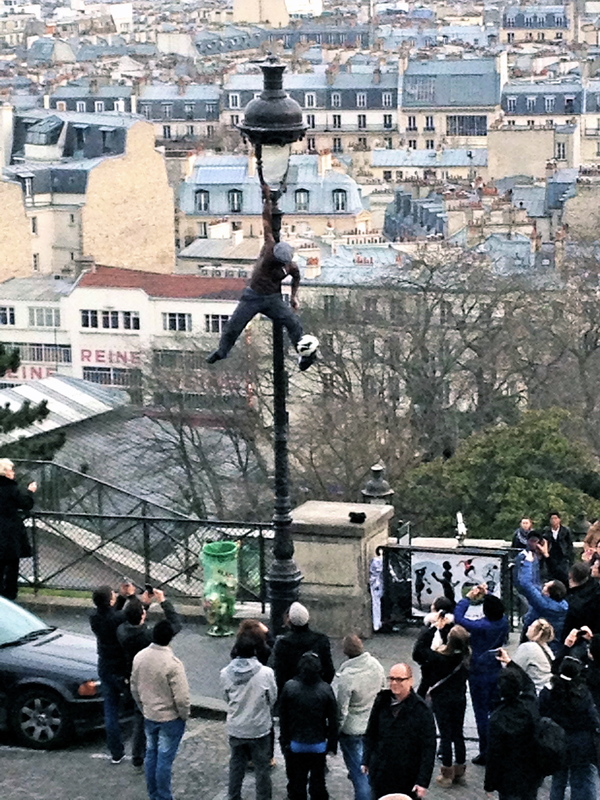 Definitely worth watching if you ever spot him while visiting Paris!